myContactForm.com has an innovative Message Center which allows you to not only read and reply to your form submitted data, but also to export it in Excel format. 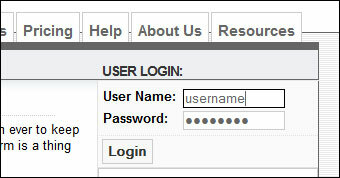 Additionally, form data may be exported in Comma Separated, Tab Delimited, Text, Word, HTML, PDF, or mySQL database formats. 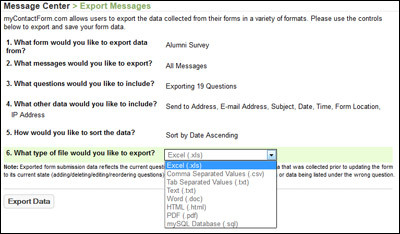 e. Follow the dialogue to configure what form, data, and format your would like to export the data to. After clicking the Export Data button you will be prompted to save the exported data to your computer.